Can you help Dave find Dogger? this book is sooo good! I luv that he likes his dog so much. I’v read it 100 times! I like it when the girl buys dogger and she says no! But the sister asks if she will swap for the teddy. It is happy in the end. I love to read this story because it has u sad bit but make you happy when he find then also my best part us whenthey went to the fair . Shirley Hughes is the creator of classic childhood favourites like Dogger and the Alfie series. We think she’s a national treasure! 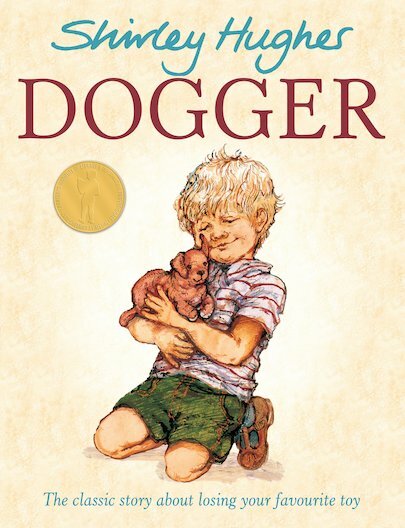 Shirley Hughes has twice won the Kate Greenaway Award, for Dogger and Ella’s Big Chance, and was the first ever recipient of the Booktrust Lifetime Achievement Award.